The F.O.E. was founded in 1898 in Seattle on a premise of proud, caring, People Helping People that understand the needs of the many will always outweigh the needs of the few. Simply, we change lives for the better. Over the years, our members have contributed millions of dollars to medical centers and causes ranging from diabetes to cancer. We help troubled youth, support the elderly, and uplift the less fortunate. 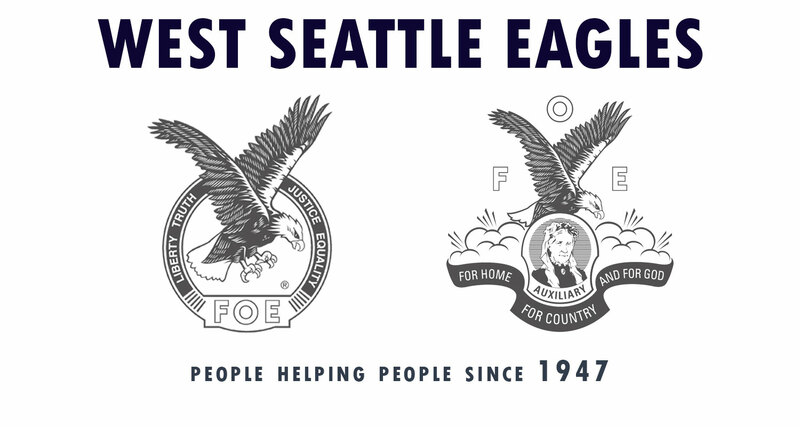 For 120 years, the Fraternal Order of Eagles has been a dynamic organization working to make life a bit better for others. Be a part of something great—JOIN US! The social room may open earlier for televised sports or special events. We will be open early for the 10am Seahawks games.